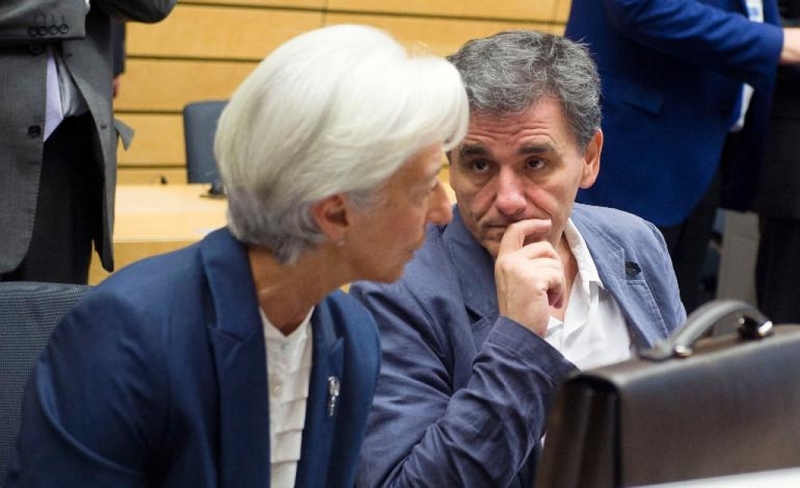 The Eurogroup has given the go ahead for the disbursement of the one-billion-dollar tranche from the activation of the Greek debt relief measures, sending a loud message to the markets for the recovery of the Greek economy. In particular, following the positive assessment by the European Commission that Greece has taken all the necessary measures to meet the commitments related to this tranche, the eurozone finance ministers decided to authorize the return to Greece the EUR 644 million of the central bank earnings from Greek bonds (ANFA and SMP), as well as the suspension of the interest surcharge in the second loan agreement, amounting to a profit of EUR 330 million for the Greek state. These funds, which are not a loan but a “transfer”, will become available to Greece at the beginning of May, as soon as national approval procedures are completed, including the votes in certain parliaments, such as the German Bundestag. The decision to approve the disbursement was extremely important for the country at the given economic juncture since, as Eurogroup President Mario Centeno said at a press conference after the meeting in Bucharest, has sent a “positive signal” to investors and the markets, with the positive impact being perceived immediately. Economic Affairs Commissioner Pierre Moscovici has interpreted the decision as “another step” in order to make the Greek issue a “success story”, as well as a “strong signal” to investors and markets, as it proves that Greece continues with reforms and its European partners continue to support it. According to the Eurogroup’s announcement, Greece has implemented the remaining reforms since February, including privatizations and the strategy for reducing non-performing loans, including legislation to protect the primary home. In this context, the key role of the Greek government is that the succession of the Katselis law will be “temporary” and “will be terminated at the end of 2019″, as Eurogroup President Mario Centeno said at the press conference after the end of the meeting in Bucharest. In any case, Economic Affairs commissioner Pierre Moscovici added that this legislation has a” specific goal”, to protect vulnerable households without undermining the efforts to reduce red loans. The Commission has even taken it upon itself to monitor the implementation of the legislation, as well as its impact on the public finances and the financial sector, as part of enhanced surveillance. The Executive Board of the European Central Bank, Benoit Coeuré, yesterday also expressed his satisfaction with the final bill on the protection of the primary home. As he said, in the initial proposal, the ECB had identified some risks that could negatively affect financial institutions, the reduction of non-performing loans, and even the judicial system. However, in the final legislation these risks are significantly reduced and a positive impact on the reduction of “red loans” is expected. He also said that the ECB will monitor closely the implementation of the legislation and will publish its first assessment in mid-2019.